'One of the most exciting lessons I've learned from looking at all our scans is that your brain does not have to deteriorate. With the right plan, you can slow or even reverse the aging process.' 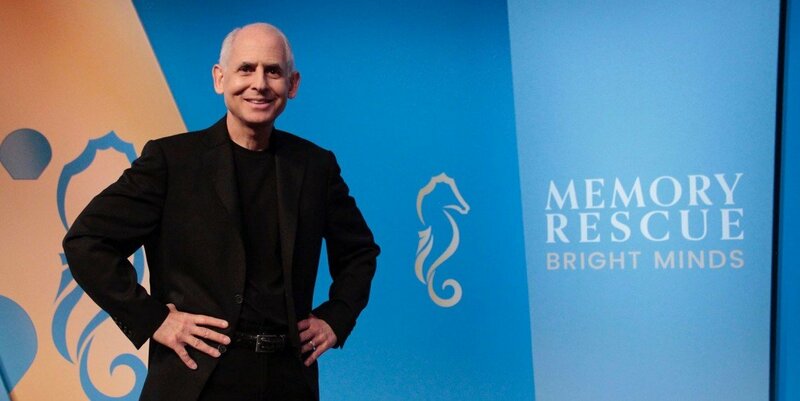 - Dr. Daniel Amen In this program, award-winning psychiatrist, neuroscientist and 10-time New York Times bestselling author Dr. Daniel Amen will show you how to supercharge your memory and remember what matters most to you. 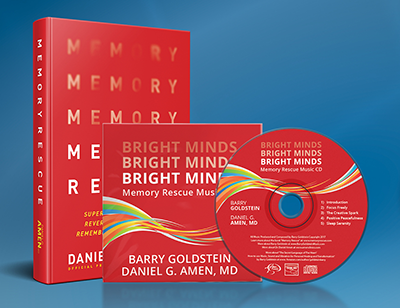 In Memory Rescue with Daniel Amen, MD, we're going to talk about how you can improve your memory and even rescue it if you think it's headed for trouble. This very simple idea to strengthen your memory is based on treating the 11 major risk factors that destroy your brain. Most of these risk factors are either preventable or treatable. Dr Amen has developed the mnemonic 'BRIGHT MINDS' to help you remember the 11 major risk factors that steal your mind. Knowing your risk factors and how to overcome them is critical to rescuing your memory. Your brain's history is NOT your destiny. You can make your brain better with this powerful message from Dr. Daniel Amen. 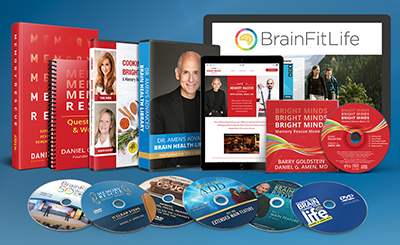 Dr. Daniel Amen has brought many great pledge programs to public television, like BrianFit: 50 Ways to Grow Your Brain and Healing ADD with Dr. Daniel Amen, to name a few... Here is one more for your line-up! Airing this informative message for your viewers is like giving a wonderful gift of strength, indepence and healing.